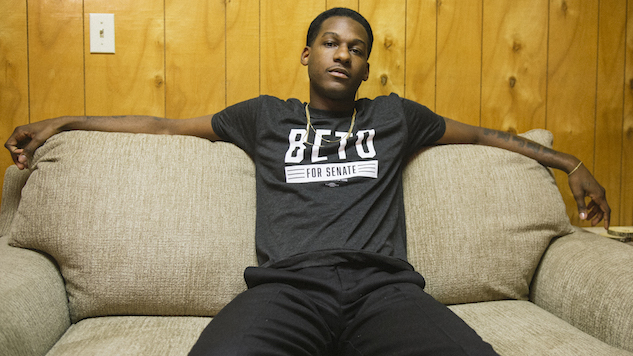 Fort Worth, Texas-born singer-songwriter Leon Bridges has signed on to play at an upcoming Beto O’Rourke concert/rally, joining headliner Willie Nelson. O’Rourke—a Democratic representative and former punk-rocker—is running a grassroots campaign against incumbent Ted Cruz for a Texas senate seat. He has expressed his admiration for Bridges previously, and now the R&B crooner is returning the support and rallying behind O’Rourke in his bid. Bridges is on tour supporting his sophomore album, Good Thing, but will make a “quick detour” to play the show. The Sept. 29 show will be held at Auditorium Shores in Austin and is free to attend if you register on O’Rourke’s website. Nelson and Bridges will be joined by fellow Texas musicians Lukas & Mikah Nelson, Carrie Rodriguez, Tameca Jones and Joe Ely. Check out Bridges’ announcement tweet below and revisit Paste’s review of his latest album here.